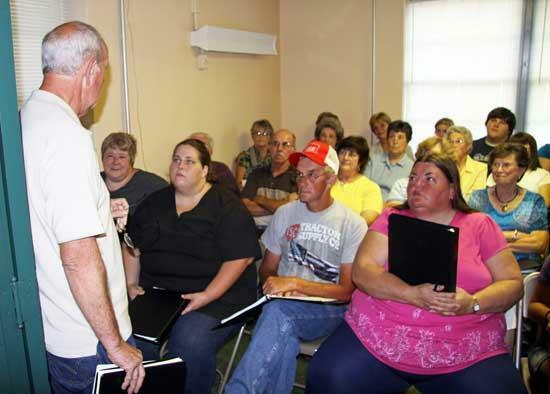 Cannon County Administrator of Elections Stan Dobson instructs a room full of election workers as to what they are responsible for during the 2010 General Election Thursday night. Early voting begins Friday. Election Day is August 5.